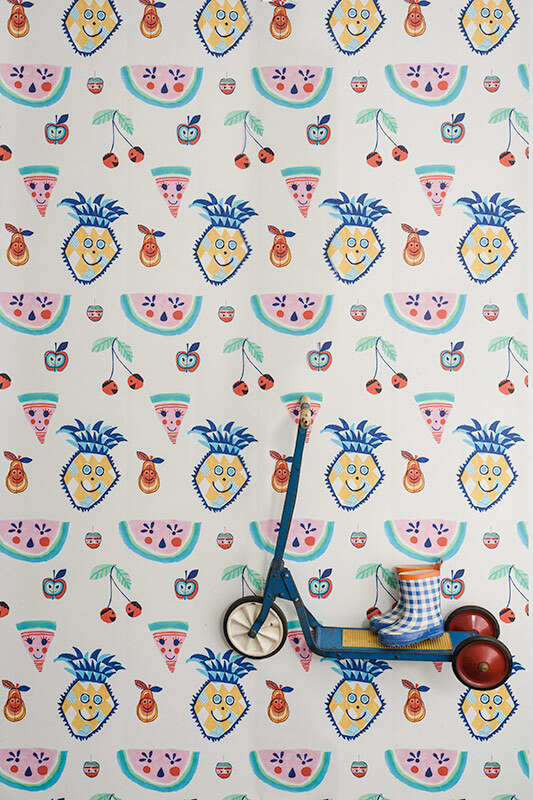 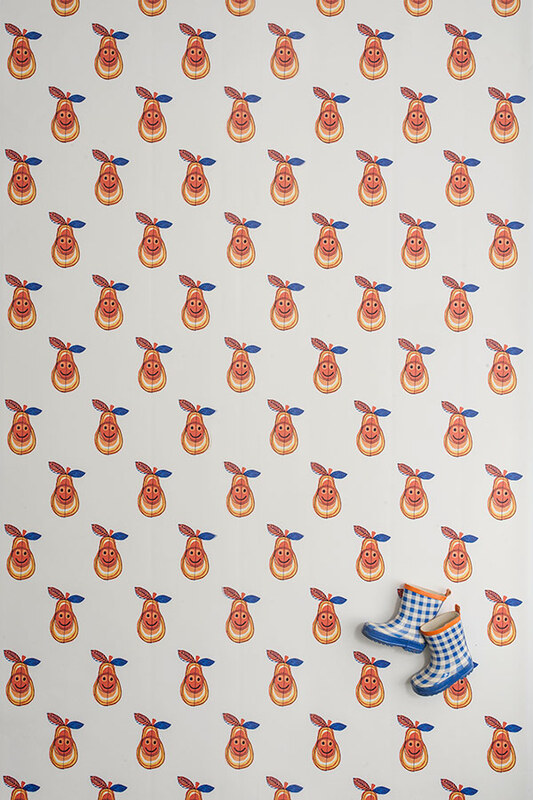 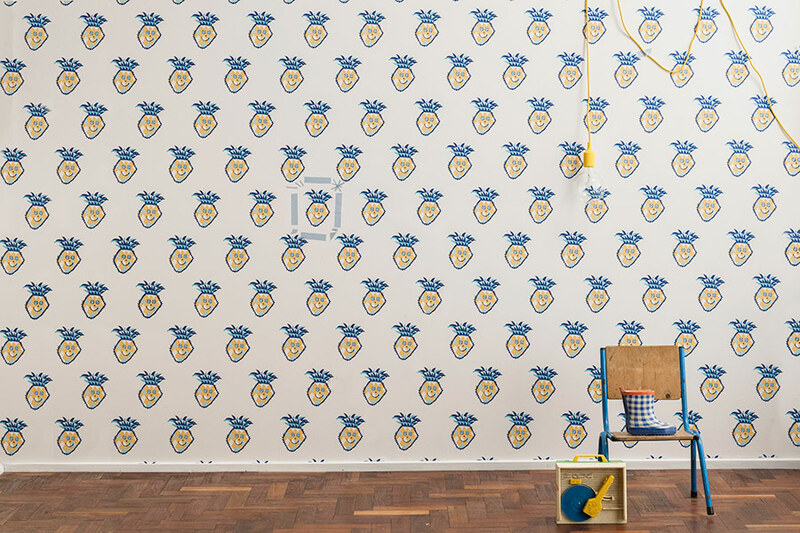 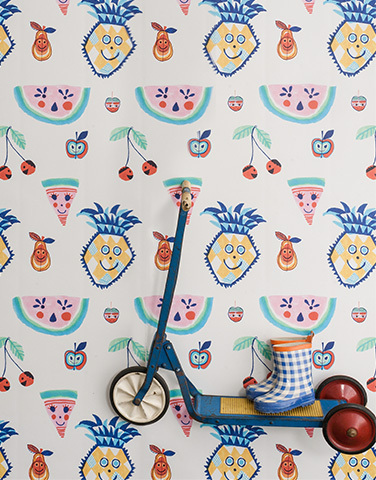 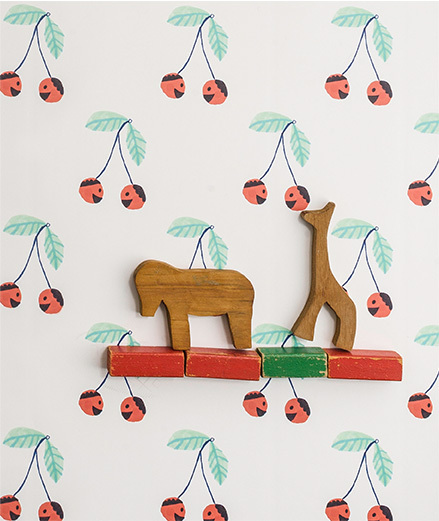 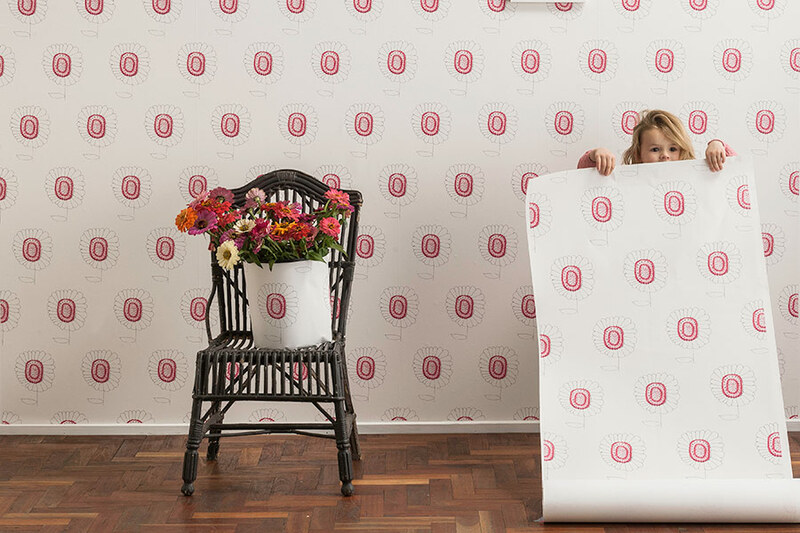 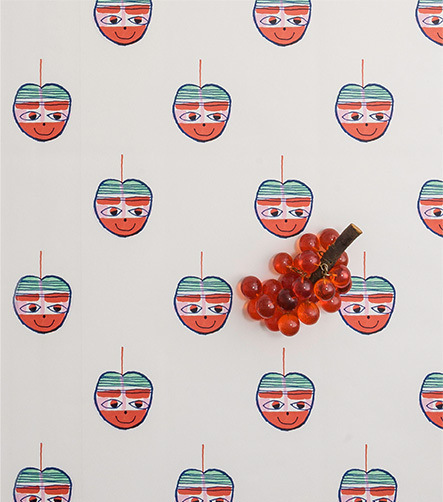 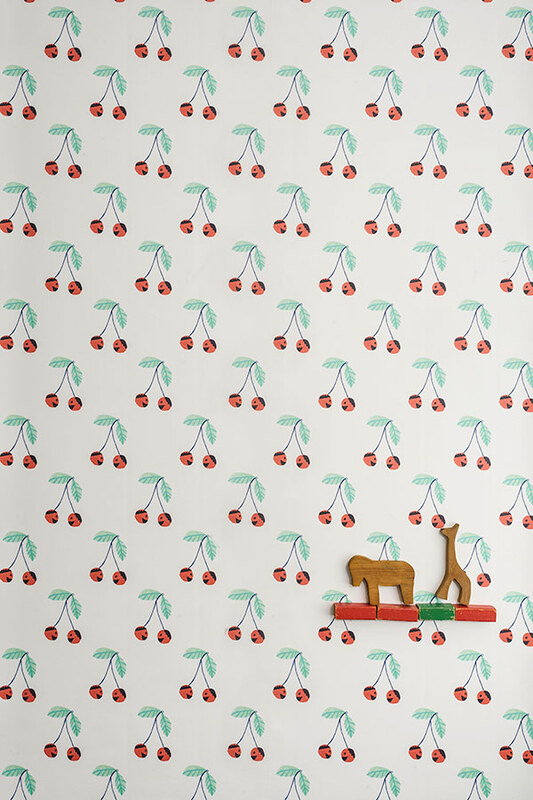 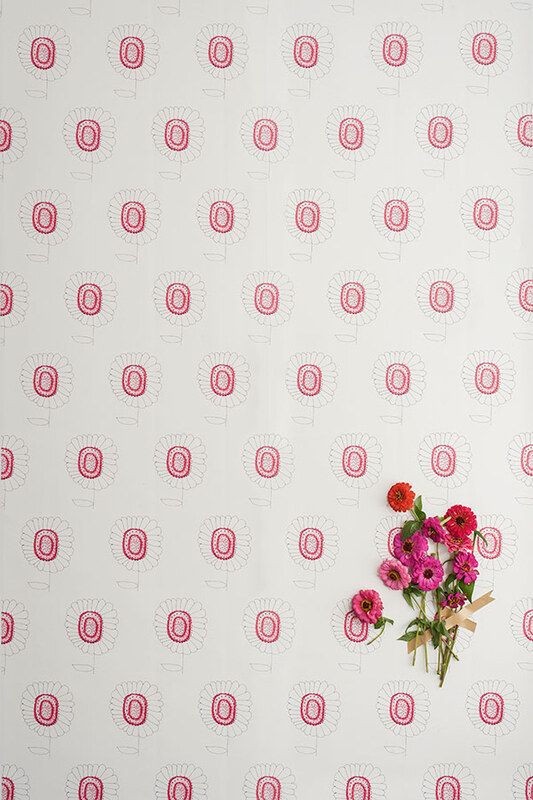 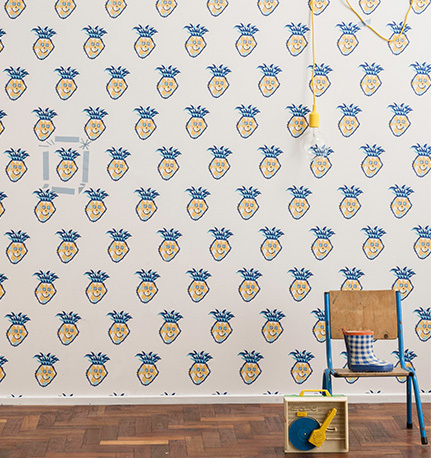 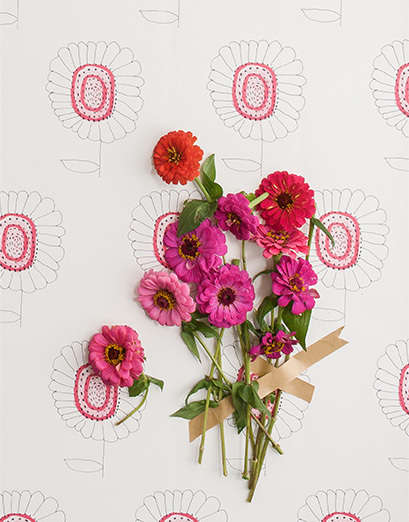 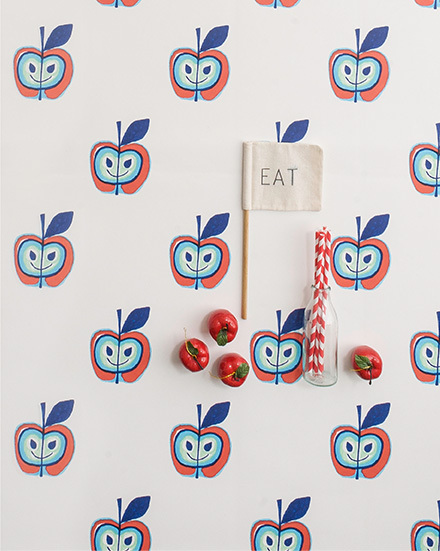 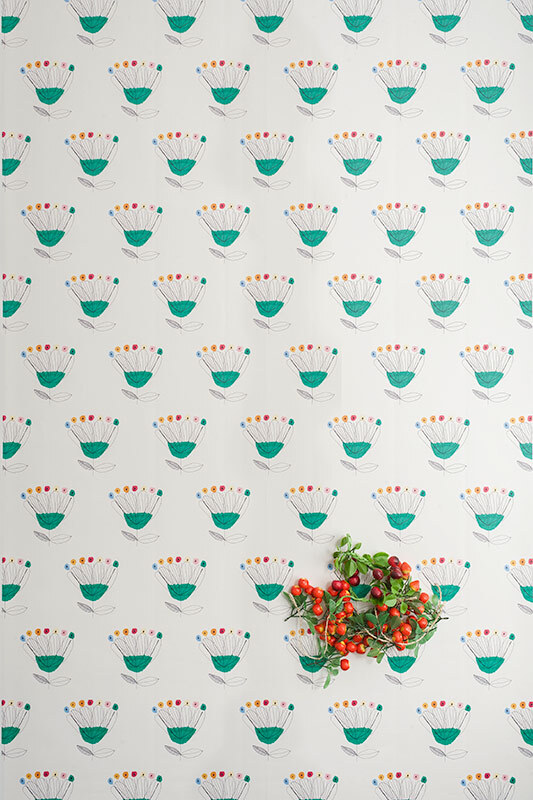 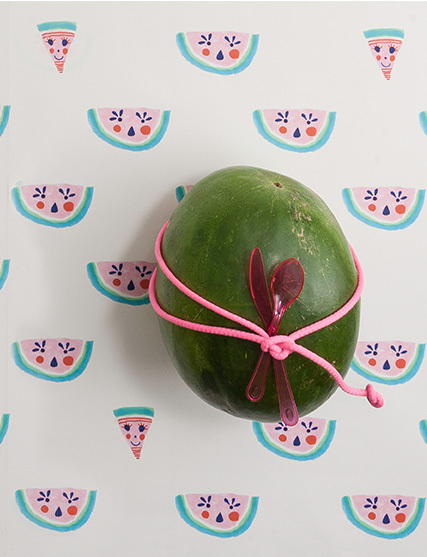 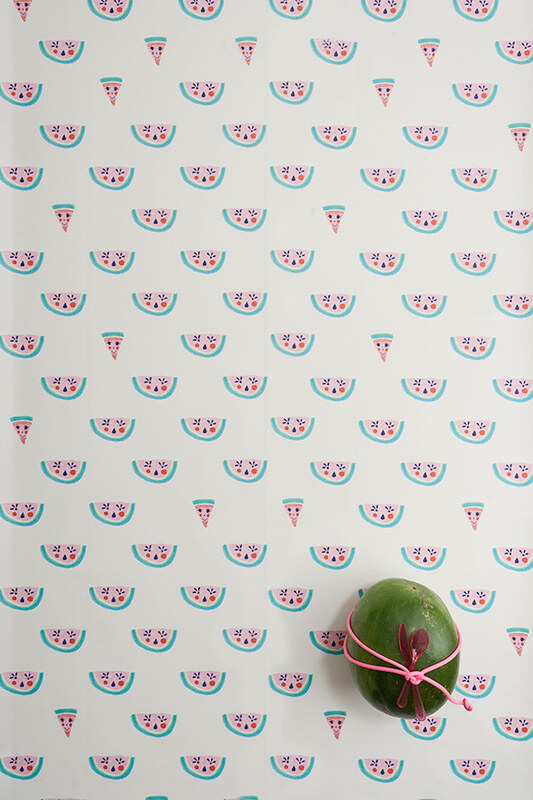 “Super Fresh Sunny Walls” is the name given to my newest collection of wallpaper you can almost eat they′re so sweet. 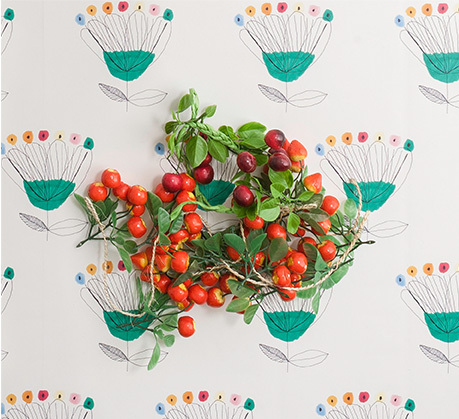 The range has 10 different designs featuring my distinctive hand-drawn fruit and flower motifs. 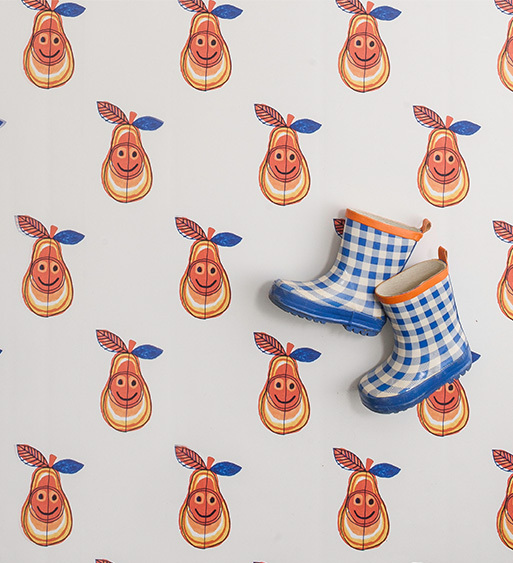 I′ve come up with names for them, as I feel like they have their own personalities. 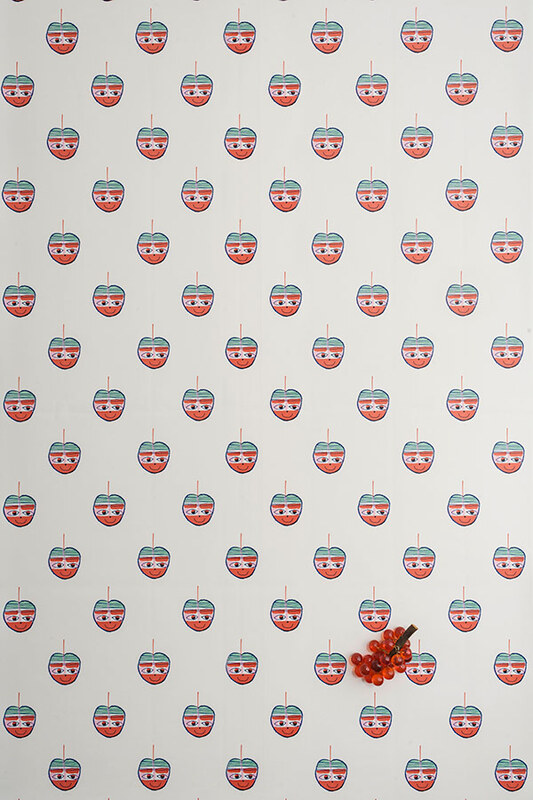 Ringo the apple comes from Japan and he likes to travel, Miss and Missy watermelon are quite shy, and Mr Pear is very jolly!